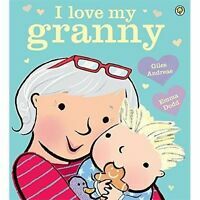 Description A heart-warming, rhyming picture book about the special relationship between mother and child - perfect for mother's day, or indeed at any time of the year. Author Biography Giles Andreae is the author of many top selling award-winning picture books. For Orchard, these include Rumble in the Jungle, Commotion in the Ocean, and I Love My Mummy. However, it is for the international bestseller Giraffes Can't Dance that he is best known. Giles is also the creator of Purple Ronnie, Britain's favourite stickman, and of the artist / philosopher, Edward Monkton. These two ranges of greetings cards, books and merchandise have made Giles the country's top selling living poet and an icon of contemporary popular culture. Giles lives with his wife, Victoria, a children's clothes designer, and their four young children by the river in Oxfordshire. Emma Dodd was brought up in Guildford, Surrey, in a family of artists. As a child she loved the work of Peter Firmin, John Burningham and Gerald Rose and from as far back as she can remember she wanted to be an illustrator. Emma studied Graphic Design and Illustration at Central Saint Martin's School of Art and has worked in advertising, editorial and book illustration. She has illustrated best selling series for Ladybird Books and created the illustrations for the successful Amazing Baby series from Templar Publishing. 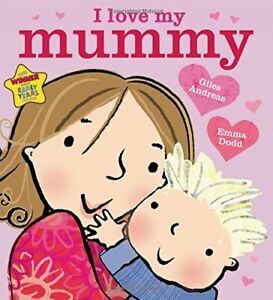 Emma was shortlisted for the Early Years book awards in 2006 and 2009. Emma lives in Surrey with her husband and two children and their Jack Russel Terrier, Bart, who keeps her fit and provides inspiration. The family like to spend any spare time in North Cornwall, surfing and walking in all weathers. Prizes Winner of Booktrust Early Years Award 2011.